Bosworth, C. E. (1968), «The Political and Dynastic History of the Iranian World (A.D. 1000—1217)», Cambridge History of Iran, vol. 5: The Saljuq and Mongol Periods, Cambridge University Press, p.7. R.N. Frye, «The Golden age of Persia», 2000, Phoenix Press. pg 162. ↑ D.J. 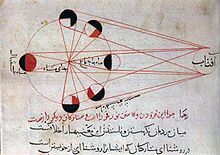 Boilot, «Al-Biruni (Beruni), Abu’l Rayhan Muhammad b. Ahmad», in Encyclopaedia of Islam (Leiden), New Ed., vol.1:1236-1238. ↑ Булгаков П. Г. Жизнь и труды Беруни. Ответственный редактор И. М. Муминов. Ташкент: Фан, 1972. С.26.